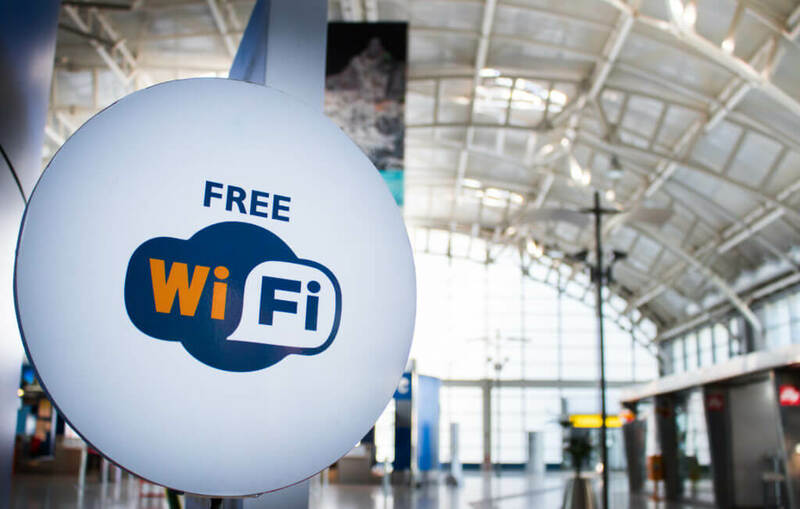 Wi-Fi that is available through the whole terminal of the airport. The one shall choose the 'Detroit Airport Wi-Fi' network. The Restrooms are located across all of the floors of both terminals at the airport. The drinking fountains and Bottle Filling Stations are available there as well. The Airport Volunteer Center located at the Concourse C will provide help to find the lost luggage and offer any other piece of information or assistance. ATMs are located through the whole terminal at its several spots: at the Gate A8, A72, B8, A50, A56, C19, A64, and B15. The ‘Be Relax' spa centers located at the Gate A18 and Gate A45 provide manicure and massage services. The Kids Play Area enables passengers to leave their kids at the playground before or after the flight under the observation of the professional staff. The Shoe Shine services are provided on the territory of the airport as well. The service might be obtained at the Gate A35 and Gate A50. The Pet Relief Area is available for those traveling with their pets.